Alpinist contributor Nick Bullock was recently named the winner of Banff Mountain Book Awards' "Mountaineering Article" category for his story, "Threshold Shift," which appeared in Alpinist 57. The recognition comes with a $2,000 prize. 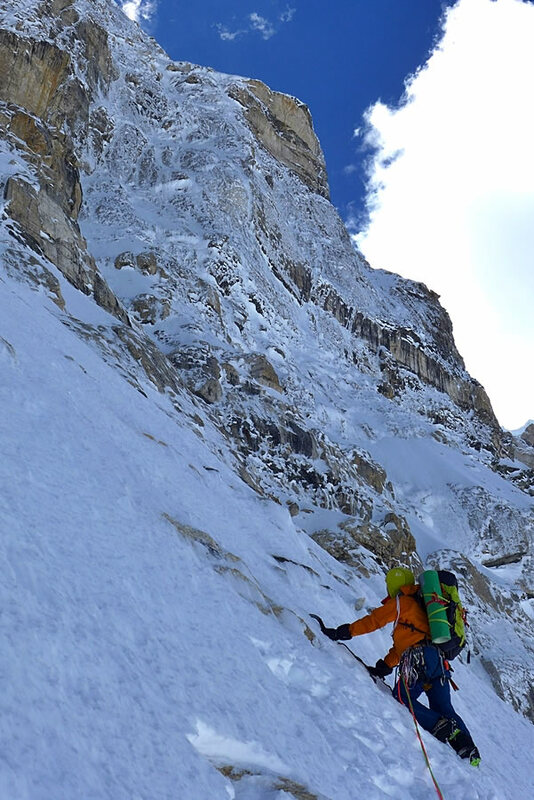 Bullock's piece recounts his first ascent of the North Buttress of Nyainqentangla Southeast with Paul Ramsden in 2016, and Bullock's subsequent return from Tibet to England to help his aging father. Back home, Bullock confronts the death of his mother, the loss of climbing friends and the uncertainties of Brexit. A threshold shift is the ear's defense against loud noise; Nick Bullock's years of experience defend his mind from registering the mortal hazard he and his compatriots face, and all too commonly perish from, in the mountains. Equally, a life climbing and writing has insulated Nick from the "rush and push and strain...(and) disappointment" of a more traditional lifestyle. Elevating moments from a first ascent in Nepal contrast with the difficult final journey Nick makes with his aging widower father. In spite of a life spent in search of "something better" through climbing he realizes he shares traits with the old men he swore he would never become. Not a lighthearted tale, it addresses mortality with an honesty [that] must be admired. I never much thought of the danger when I started all those years ago. I never imagined the pain, the grief. Heroic.... I was indestructible.... I saw myself breaking shackles, becoming free.... But I was naive. In my defense, it's difficult to see the pain when you don't really value what you have at the time. It's easy to make light. Life is cheap, and time is a giveaway. But of course, life is never cheap, and time goes one way only. Entropy. A list of the other award categories and their recipients can be found here.